The tandoori selections, fragrant pulaos, and rich curries on their a la carte menu make for top quality Mughlai fare. 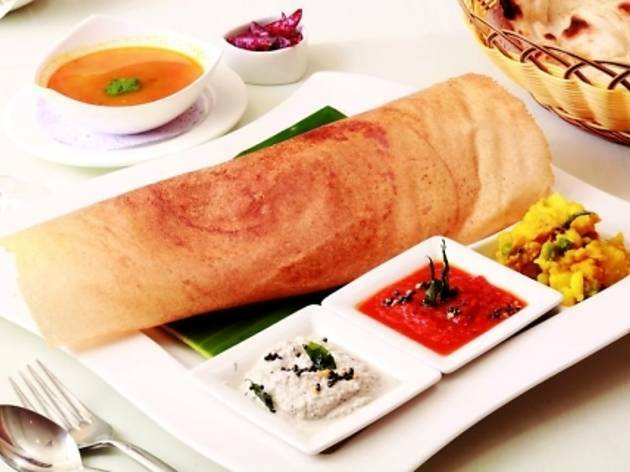 Or stop by for their lunch buffet and you can sample divine South Indian favourites such as crispy golden dosas with aloo masala and all the right chutneys, and yummy sambhar. Finish with some melt-in-your-mouth gulab jamuns and you’re all set for a blissful afternoon nap. 1/F, Carfield Commercial Bldg, 75-77 Wyndham St, Central, 2971 0001. $400. The rotis and naan at this little Jordan dive are exceptionally fresh and fluffy—and go surprisingly well with their prawn curry. Major value for money. G/F, 87 Woo Sung St, Jordan, 2780 0664. $90. This place does good curries and great kebabs. The lamb kebabs here are particularly tasty—well marinated and grilled just right. Also worth trying are the onion bhaji and the mutton rogan josh. 1/F, 68-70 Lockhart Rd, Wan Chai, 2865 6099. $250. Unadulterated by artificial colouring and cooked in olive oil only, their food is gentler than most restaurant-style Indian cuisine. Their stir fried okra, and their berry pulao are super tasty, as is their tandoori rack of lamb. G/F, 13 Elgin St, Central, 2547 9998. $500. This cosy little joint promises the real deal. Have a fold-out table set up outside, sit back on a plastic chair, and savour some legit dal-sabzi, paneer, and butter chicken. G/F, 31-37 Mosque St, Mid-Levels, 2525 5488. $170. Try their tender tandoori chicken, and don’t miss their sweet, smooth ras malai – a delectable milk-based dessert. Polite service and plush interiors make for an easy night out. 1/F, Amber Lodge, 23 Hollywood Rd, Central, 3105 5300. $300. The papdi chaat (crispy discs of gram flour topped with potato, puffed rice, onions, yogurt, and tamarind sauce) here is a real treat and makes the perfect snack with a mango lassi. The lamb-knee preparation is also delicious, but not for the faint hearted. G/F, Abba Commercial Bldg, 223-227 Aberdeen Main Rd, Aberdeen, 3526 0611. $150. Sangeet The biryanis, koftas, and raitas at this Mughlai haven make a feast for lunch or dinner, and go down great with their jal jeera, a spicy-sweet drink made with cumin. They also have Indian classical music performances every night. UG 06-08, Toyo Mall, 94 Granville Rd, Tsim Sha Tsui East, 2367 5619. $150. This private kitchen does North Indian vegetarian cooking, and their eggplant bharta, dal, and samosas are particularly good. Call in advance and they can accommodate dietary restrictions. 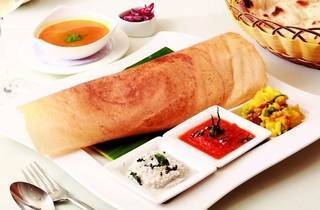 They’re popular for their Jain preparations, and even do vegan options. 5/F, Block B, Chung King Mansion, 36-44 Nathan Rd, Tsim Sha Tsui, 2369 5762. $160. This itsy-bitsy street-side snack shop and restaurant is one of the only Indian joints in the area, and is exceptionally good. Don't be disuaded by the look of the place or the hectic surroundings, because although their interiors are rather humble, their tikkas are fit for a king. 24 South Wall Rd, Kowloon City, 2716 5128. $150.